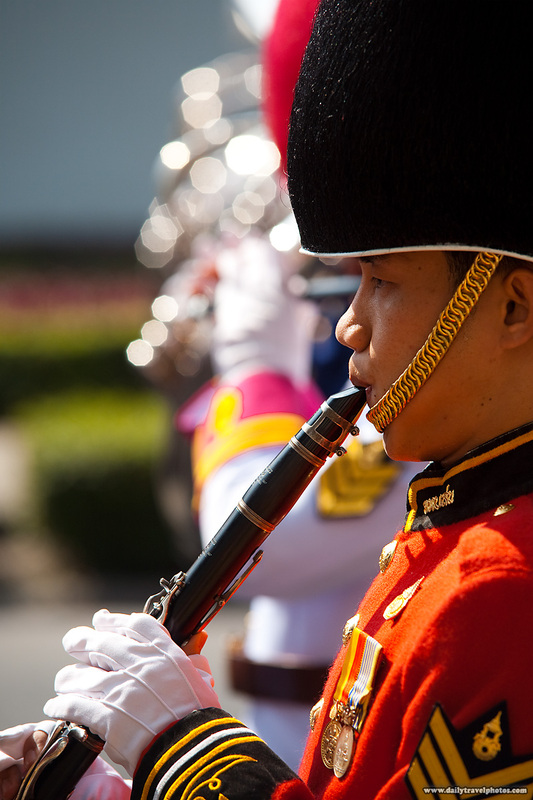 A flutist in the marching band portion of the King's birthday parade. A bit of a lucky break as the marching band stopped and played at my end of the street. On this hot day, I was leaking liters of fluids in just a shirt and shorts... I can't believe this poor fellow's still standing in spite of wearing a fuzzy hat and full-length felt uniform! Colorful members of the marching band at the King's 83rd birthday in the year 2553. Buddhist countries adhere to two separate calendars. Besides the well known "Gregorian calendar" whose years based on the birth of Christ, Thai dates frequently refer to the calendar based on the birth of Buddha. 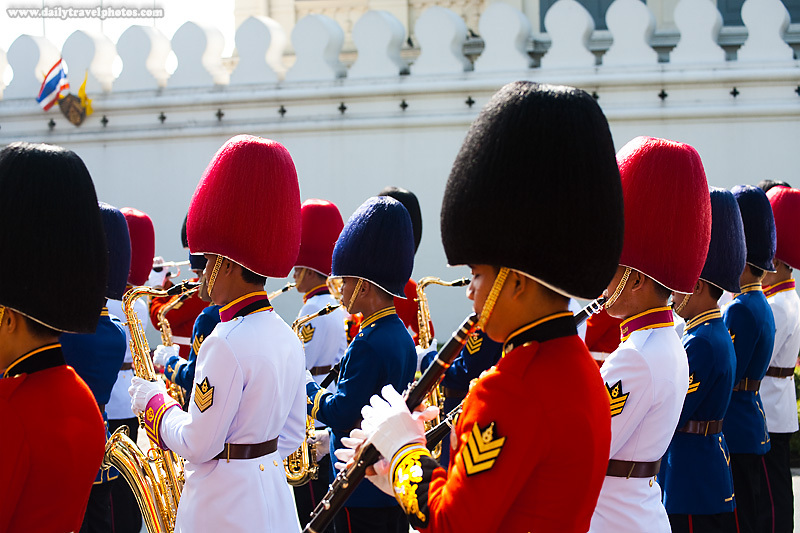 Hi, I'm from overseas and would like to find out where I can make marching band uniform in Bangkok.